Amazon: Gluten-Free English Muffins Only $1.71 a Pack SHIPPED! Gluten Free deals are sometimes hard to come by! So if you are living a Gluten-Free lifestyle then you will be excited about this deal I just spotted on Amazon ! 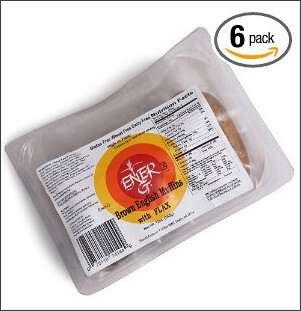 These Ener-G Foods Brown English Muffins with Flax, 12-Ounce Packages (Pack of 6) are only $1.71 a pack after you sign up for Subscribe & Save! (You can cancel your Subscribe & Save subscription any time after you receive your order). You may find some other good deals on other Gluten-Free Ener-G products!